Following a divorce, the next hurdle that many individuals face is ensuring that they are receiving their child support payments on time. Unfortunately, missed child support payments and inaccuracies in payments are far more common than most people believe. Child support issues are some of the most common issues encountered in family law. Struggling to pay child support can be frustrating; meanwhile, the parent expecting child support can suffer when the paying parent is not able to make their child support payments on time. Overall, the process can be stressful and strenuous for both parties involved. Because of this, it is common for child support contempt proceedings to occur. When the parent who is expecting child support payments is not receiving them, this can lead to a mixed-bag of emotions and a feeling of helplessness. In this case, it is common for the parent who is expecting payment to file a motion for child support contempt. If the motion is approved then the party that filed the motion must prove two things at the child support contempt hearing. They must show that there is a valid court order mandating that the other party must pay child support. They must prove that the party failed to pay while having the ability and financial means to make proper child support payments. In most instances, these two requirements are relatively easy to prove to the court. If a court order exists mandating child support, then the court will have a record of this on hand. Also, the party expecting payment should be able to easily pull up their financial records showing the lack of child support payments. Once it has been proven that both of the above-mentioned requirements have been met, then the parent who has failed to make child support payments must prove that they do not have the ability to make payments or they must go ahead and pay the child support that they owe. 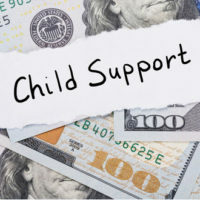 In most instances, you do not have to prove that the parent who pays child support can pay because this evidence is typically found in the original child support agreement. However, in the event that the party who is expected to pay child support can prove that they do not have the means to continue to pay child support payments, then the court may be inclined to restructure the agreement or order the party to seek substantial employment in order to regain the ability to make the required payments. The process of struggling to receive child support payments on time can have a significant impact on your life. The inability to rely on the necessary means required to adequately raise your children is not something you should accept as reality. If you are struggling to receive child support payments, an experienced family law attorney can be of great assistance to you. Your attorney will be able to review the specifics of your situation and will formulate a plan to help you get the financial support you are owed. 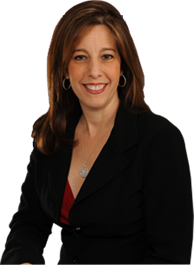 Do not brave this battle alone; contact Attorney Sandra Bonfiglio in Fort Lauderdale for effective and efficient representation. Call today to schedule a free consultation.